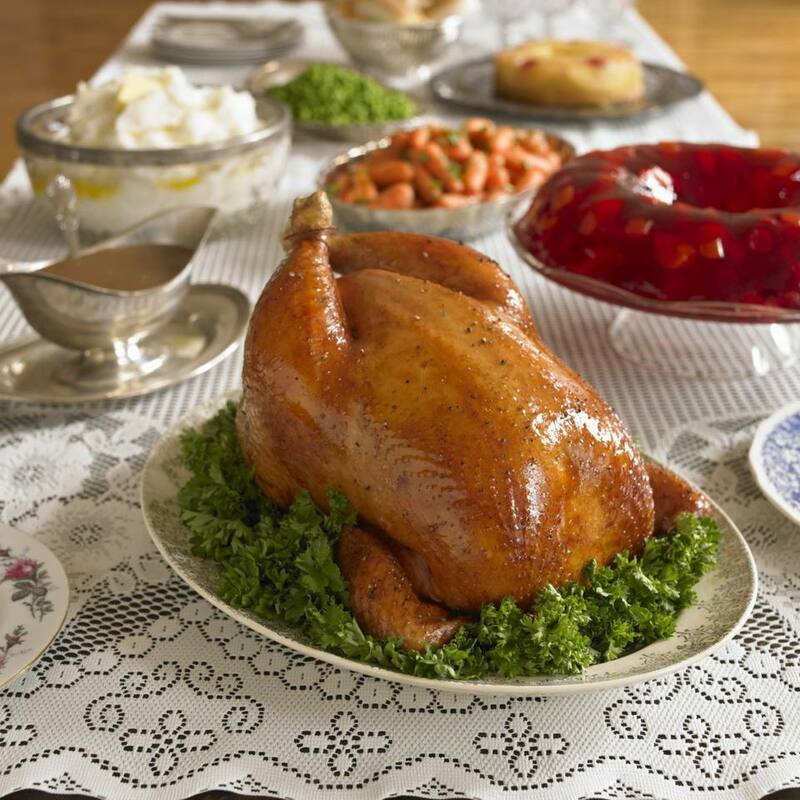 Thanksgiving Day dinner can be purchased already prepared for your family in Reno. For those who want the traditional big meal, but don't want to deal with all the preparation and other work, we have markets from which to purchase a complete meal, along with other options to consider. This could be a good choice for people with lots of other activities planned for Thanksgiving Day and the holiday weekend. Scolari's Food & Drug Company - This locally owned market chain offers holiday dinners of turkey and ham. Scolari's also has holiday party trays. Order at least 24 hours ahead, then pick up and take home. Use the Scolari's store locator to find your nearest store. Shop in person or call the store to place your order. Only available at stores with full service deli and bakery. Raley's Supermarkets - Order a complete holiday meal, then pick it up and take it home. The main item on the menu is a pre-cooked Butterball turkey. Find your nearest Reno area Raley's with their online store locator. Whole Foods Market - With Whole Foods Market, you can go online and order everything from holiday side dishes to complete meals, including vegetarian and vegan options, then pick your order up at the store. You can also order in person at the holiday desk inside the store. The Reno Whole Foods Market is located at 6139 S. Virginia Street, Reno, NV 89502. For more information, call (775) 852-8023. Smith's Supermarkets - Smith's has online ordering system for prepared holiday meals. Use the store locator to find a market close to you. Safeway Supermarkets - You can order complete Thanksgiving dinners from Safeway by calling their Holiday Hotline at 1-888-358-7328. From the website, you can print an order form and take it to the store in person. Use the store locator to find a Safeway market close to you. Natural Grocers - Natural Grocers sells GMO-free natural turkeys you can reserve and order online, then pick up your bird at the store. The Reno Natural Grocers is located at 4819 Kietzke Lane. Call (775) 448-9828 for more information. Trader Joe's - You'll have to go to the store in person, starting November 15, 2014, to get an all-natural turkey from Trader Joe's. They've also got all the fixins' and a big selection of wine. The Reno Trader Joe's is located at 5035 S. McCarran Boulevard. Call (775) 826-1621 for more information. In Carson City, find TJ's at 3790 US Highway 395 South, (775) 267-2486. Save Mart Supermarkets - Save Mart is offering complete dinners of either turkey or spiral ham. You can order these Thanksgiving meals either online or in the store. Use the store locator to find the nearest Save Mart market. Ethnic Markets & Specialty Food Stores - While Thanksgiving is a uniquely American holiday, you might want to break with tradition and serve some ethnic dishes. This assortment of ethnic and specialty food stores can provide ingredients for dishes served in many corners of the world.